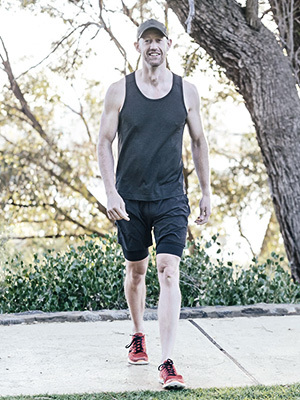 The Chevron City to Surf for Activ will be offering Pacers for the first time in this year’s event! Pacer groups will be available in the Marathon and Half Marathon events. The rendezvous assembly point is on the Corner of King Street and St Georges Terrace. Marathon Pacers will have Red Balloons marked for the target times of 3:30, 3:45 and 4:00. Half Marathon Pacers will have Green Balloons marked for the target times of 1:45, 2:00 and 2:15. Many big marathons offer the opportunity to run with pacers. These legends are volunteer athletes who are willing to run a specific and consistent pace, holding a balloon for identification, and get to the finish at the target goal time. Pacers can give you that extra push you need, keep you on the right pace or even provide a distraction from the pain you’re feeling. Even the most experienced marathoners can get caught up in the excitement. After all that training, and then the agony of the taper, by the time you get to the start line, your body is straining against the reins of your mind. Those first few kms feel so good—even though they’re faster than your goal pace. Your mind, that big fat liar, will try to convince you that you can hold it. Staying behind a pacer for the early kms may keep you from blowing up later. Big races pay pacesetters (called rabbits) to take the lead for the first part of a race. As coach Bill Bowerman told his star runner Steve Prefontaine in the movie Without Limits, “It takes eight percent more energy to lead than to follow. Front-runners cut the wind for everybody behind them and then die in the stretch. In a close race, a front-runner never wins.” Having a pacer is not cheating; it’s smart racing. We all knows this right?! Herd animals know this. It’s safer to stick together than to go it alone. Do you really want to be the lonely gazelle that gets picked off by the lion waiting in the bush? There’s energy and strength in numbers. Plenty of people hit all their training goals and still fail to finish a marathon in their target time. Staying focused for 42.2 kms requires mental toughness. Your headspace can be a bad neighbourhood. Why not leave the hard work of thinking to someone else? You may not think you need to drink more water or slurp down another gel. That’s because in the later kms you’re probably not thinking so clearly. Hearing someone ask, “Has everyone been drinking water? Do you need more carbs? An electrolyte?” can be like having your mother along. It might annoy you, but you’ll end up better off if you listen. You don’t have to sign up. You don’t have to pay. You don’t even have to give your real name when asked. Pacers are like moving GPS watches. They’ll just trot along, holding their balloons and maintaining an even pace. If the pacer has an irritating voice or is telling too many bad jokes, keep a distance but make sure those balloons remain in sight. Even if you’re feeling zippy, wait to speed up until later in the race. Pacers often know the course, and can give you a preview of what’s to come. They’ll warn you about hills and may also point out interesting historic landmarks, geographical weirdness and local hot spots. Most pacers have completed loads of marathoning miles and can offer tips and helpful pointers—everything from reminding you to relax your shoulders to telling you where to get the best espresso martini. When your body starts to tire, ask for advice. When your mind starts to wander, request a story. 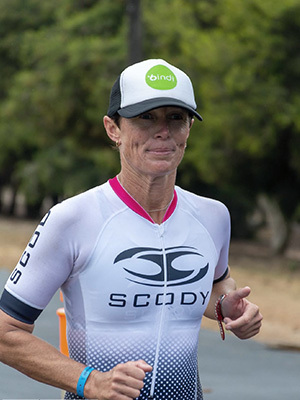 While you may have friends and family screaming for you from a couple of points on the course, your pacer really wants you to meet your time goal and will say things to help you get there. She or he will tell you that you can do it. Your pace will tell you that you’re looking great or even offer to buy you a beer at the finish. Whatever it takes. A good pace group can transform a group of people with diverse backgrounds, often from all over the world, and turn them into friends. It’s not a party if you’re all by yourself. Sure you can cross the line, stop your watch, and go home. But it’s a lot more fun to turn to the sweaty, exhausted, elated folks who just spent 42.2 kms running beside you and exchange hugs and high fives. Why or how did you get into running? I always ran around the farm when I was younger and now I enjoy the freedom, friendships and opportunities it gives me. The hills, I love hills. Who doesn’t?! Officially, I’ve only run one marathon in 3.12. However, I’ve run many in training for my first ultra-marathon, the Comrades Marathon (90KM), earlier this year. Don’t do anything different in race week or race day. You should have tried everything already before race day. Always need a coffee before and after. Mum & Dad were/are both running enthusiasts, so I started going for jogs with them. If memory serves me correctly, my first ever jog with Dad was the 1994 4km City to Surf!! The point-to-point format starting amongst the skyscrapers and finishing at the beautiful City Beach. Although it creates some logistical headaches the day before, it’s all worth it! 1.Don’t cram your training into the last few weeks, it won’t make you fitter… just more tired and sore! 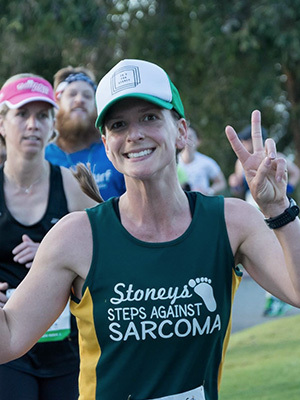 2.Keep everything the same for race day: normal sized dinner the night before, have a glass of wine if you usually so, have a normal (and simple) breakfast, wear your normal running clothes and normal running shoes – the less you change, the better! 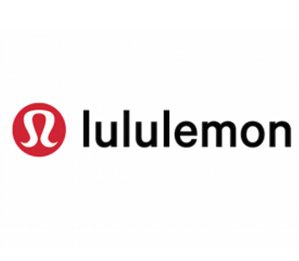 Pre run – I don’t stretch (gasp!!) because it doesn’t stop you from getting injured!! Post-run – Jumping into the ocean regardless of weather and wave conditions. The challenging course keeps you on your toes, it is really important to set a realistic pace at the start knowing that the hills are coming. I have completed about 6 marathons, and too many half marathons to count – my best marathon was completed in 3 hours, 40 minutes. Taper, Taper, Taper – make sure you get enough sleep and rest in the lead up to the race. Get onto your yoga mat and give those legs some tender love and care. A short 5km medium pace run the day before, just to shake those nerves out. No quirky rituals that I am aware of, but my wife may have a different answer. I have always been active since I was a kid, starting with Little Athletics and Cross Country. As I’ve grown older the distance I run has also grown. I have run as far back as I remember.  I grew up participating in the Chevron City to Surf for Activ when it was only a 12km event. I love that it has grown into the event it is today, with thousands of people participating, and now offering a variety of distances which encourages more people to get involved. 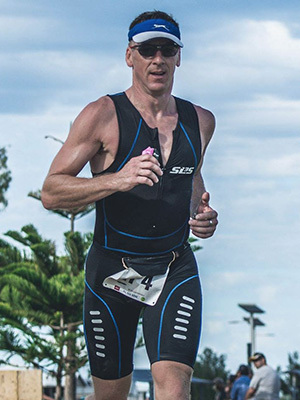 I have completed 10 standalone marathons and 8 during an Ironman triathlon, my best time is 2 hours, 55 minutes. Don’t try anything new! Ensure you have practiced your race nutrition, worn in your race shoes and trained in your race outfit. I always follow the exact same carb loading meal plan for any endurance race. I’ve used it for over 20 events – I eat and drink the same things for 2 days; Rice Bubbles, white bread, muffins, soft drink, pasta, garlic bread and bananas. It is based on an example carb load from the AIS I found years ago. I ran my sub 3 hour marathon on it so dare not try anything else. 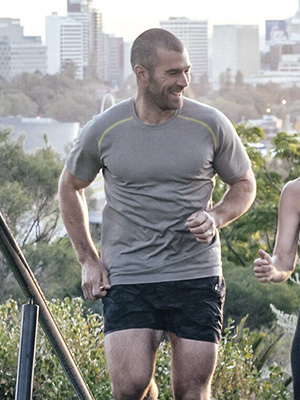 I started running when I moved to Australia 8 years ago. I was travelling and did not have much money back then, so I gave running a go and started to enjoy it. 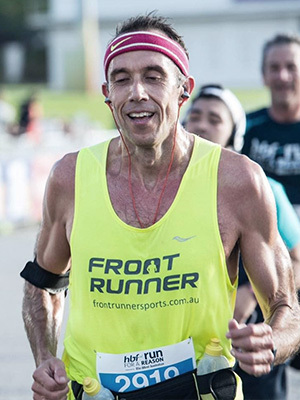 I first completed the Chevron City to Surf for Activ a couple of years ago and remember enjoying the undulating aspects that this marathon offers. I have completed three marathons so far, and my best time is 4 hours, 10 minutes. Training is my best tip, take the race like a fun/ challenging day to prove yourself how awesome you are. Usually after a race I concede myself the freedom of eating a whole tub of Nutella without feeling guilty. I like seeing family, friends and other supporters along the route. My family often host a barbecue along the latter part of the course, and there is nothing better than seeing their faces when you most need the encouragement to get to the finish line. I used to run track. I like the massage at the end… but also joining tens of thousands of west coasters as we get together for a good cause. I have completed a dozen or so half marathons, my best time is 1 hour, 20 minutes. Hydrate in the days leading up to the run, take some time the morning of to relax, and don’t lace your shoes too tight! When I finished playing footy, running was just a natural extension of the fitness from my playing days. The community feel – everyone all heading in the same direction with the same goal in mind. I have completed about 15 half marathons, my best time is 1 hour, 26 minutes. 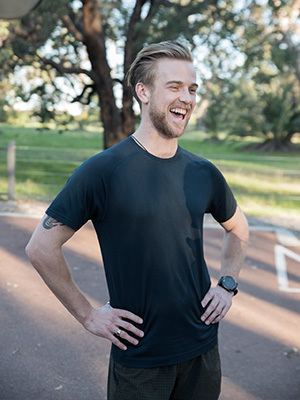 Pre-race – run for a good five minutes before you race. This will get the heart rate and breathing volume up, so you don’t spend the first kilometre struggling. Post run, I usually promise my ageing body that I won’t keep running long distances, then fairly quickly I forget that promise and start planning my next run. I have always enjoyed running shorter distances and playing team sports for most of my younger years. 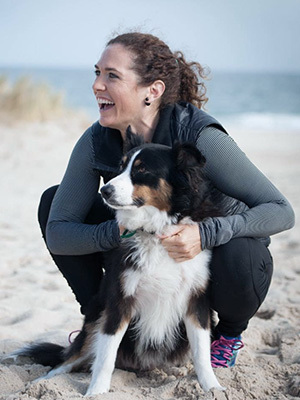 Initially I got into running longer distances once I was around 18 years, and from there I began training a lot more, leaving team sports behind. 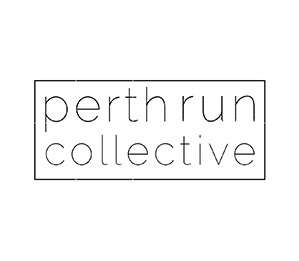 My running got a lot more serious after beginning to run with Perth run collective in late 2016. I have completed 5 half marathons in total, with my best time being 1 hour, 30 minutes. My biggest pre-race running tip would be to run your own race and know your goals! Isolate yourself in whatever means possible from the hype around you at the race start line. I always listen to Gang of Youths ‘Let me Down Easy’ when I start a race. 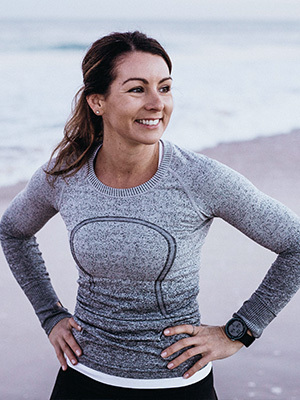 Running improves my wellbeing and confidence, provides a space for calmness and discovery, and a sense of possibility that carries over to other parts of my life. Naturally, I want to do more of it. 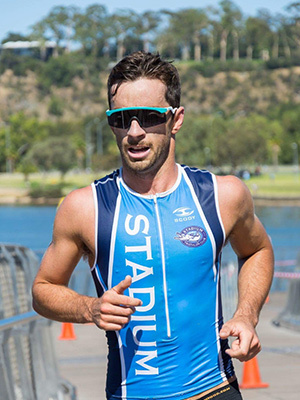 With 4km, 12km, half marathon and marathon options available, the Chevron City to Surf for Activ truly celebrates everyone’s efforts from the elite to the weekend runner and anyone else willing to have a go or volunteer their time, and it’s all for a very worthy cause (Activ). It’s a vibrant event. Nothing beats the start line feels and the atmosphere is electric from all the community support along the way. The course might be challenging, but it takes in some of Perth’s best natural assets with the Indian Ocean perfect for a post-race dip and recovery! See you out there on Sunday, Aug 26th. Numerous, I’ve lost count. I have completed three of the six World Majors (marathons) with a PB in Tokyo: 3:26. The London marathon is on the cards for 2019. Getting fitted in the right footwear early is a must. 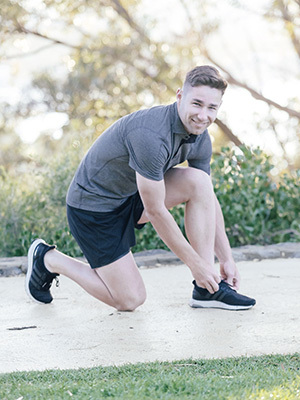 An independent speciality running store (The Running Centre in West Perth or The Athletes’ Foot Perth CBD) are a good place to start for advice and tips. This isn’t an area to skimp either, the right footwear can in fact save you dollars down the track and keep you out of the physio’s waiting room. of shoes and you can lace-up anywhere. I really like the whole day. It is great standing in the crowd at the start line, bumping into people you know along the course, and seeing people cheering on their friends. I have completed a could but not in any times for the record books! Whichever distance you are doing, 4km walk to marathon, have a good time out there. 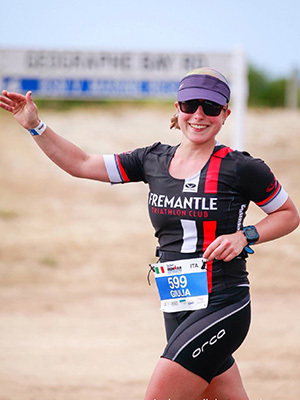 Trust your training, do your best, but take in all the smiles and cheers on the course – it’s your playground! Not really. I have a green tea pre-run, which may seem quirky to all the coffee drinkers out there. I have always been into running. Initially it was done through team sports, but as I got older and moved away from team sports I took up triathlon and through that, distance running. Finishing at City Beach and being able to go straight into the ocean. Don’t change anything on race day and don’t get caught up in other people’s pre-race tips. Do your own thing. Always left sock on first, then right sock, then left shoe, then the right shoe. I believe running is “breath-taking” in more ways than most people will ever know. For me, it is like a moving mediation, a reset. Running brings me a freedom where I can take in the natural surroundings and replace clutter with clarity of mind. A place where my body warms into a state of physical ease, my feet roll and mind wanders freely and contently. I run to be HAPPY. I run because it makes me FEEL GOOD. The community spirit and the atmosphere of so many runners coming together. I’ve completed 4 marathons and many half marathons. My fast racing days are well and truly over but I still love to participate and enjoy the races. 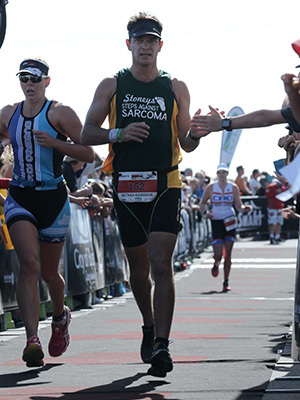 My best marathon time was 3:40 which was actually part of the New Zealand Ironman. This event was an amazing holiday and experience in spectacular surroundings. Rest and sleep well the week before, use those pre race jitters as a sign you are excited and pumped ready to take the race day on. An ocean dip to help those legs recover post race… plus the salt water is good for the soul.